After netting four times in the 8-0 win over Yeovil Town Ladies in their last game, the on-loan forward from Chelsea continued her clinical form in front of goal. The victory sees Scott Rogers' charges strengthen their third place spot in the Women's Super League. England might have given Liverpool Ladies an early lead when she missed from close range following an inviting cross from Jess Clarke. 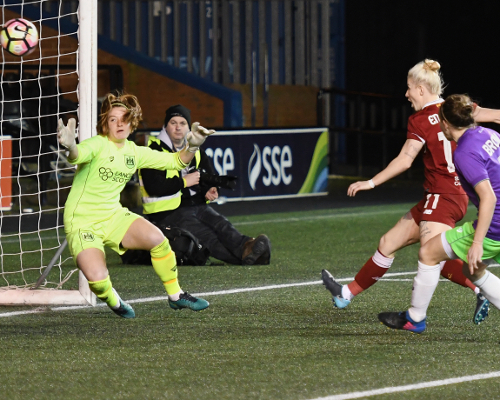 The home side then had to rely on goalkeeper Siobhan Chamberlain for keeping out Bristol City as the stopper made a brilliant save to keep out Millie Turner's goal bound effort. Clarke was a real threat for the Reds down the right flank and she caused plenty of problems for the Bristol City defence. A minute after the restart the breakthrough arrived and it was no surprise that Clarke played a major part in it. The forward produced a superb cross that found England who made no mistake from close range. With 25 minutes left England made certain of the three points with a superb finish from the edge of the penalty area. Reflecting on the victory, England said: "We got three points, that’s what we needed. We knew Bristol City were going to be a tough team to come out and play against and they showed that in the first half. "They put on a very strong performance but luckily we got the early goal after the break and I think that allowed us to get on the front foot for the rest of the game, so it’s really a pleasing performance for all the girls. "It’s the best form I’ve been in for a while. I feel fit and I’m feeling good, it was about time the goals started coming. "Obviously, I’m pleased to get on the scoresheet but it’s irrelevant if we don’t get the three points, that’s the main thing and we did that tonight." 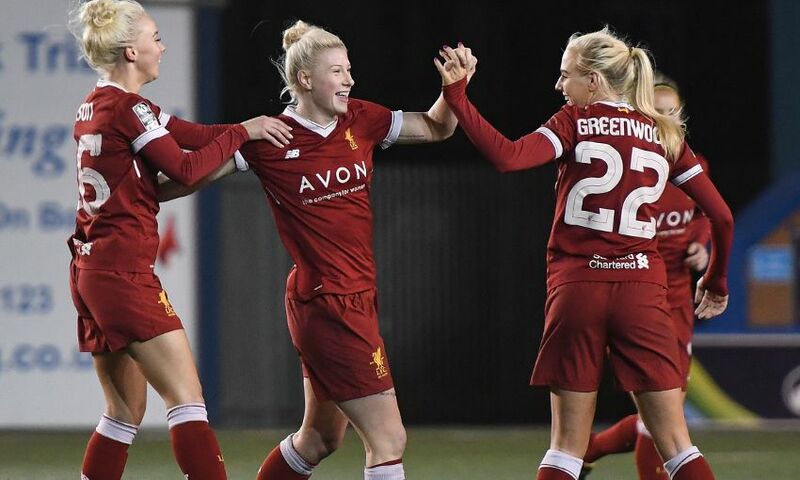 Liverpool Ladies: Chamberlain, Harris, Greenwood, Stoney, Bonner (Turner, 29), Ingle, Johnson (Hodson, 61), Coombs, Clarke (Pike, 82), Weir, England.